Excellent choice of flatware for any restaurant. Suitable to scoop up food such as soup, porridge, rice or vegetable. Features a simple and elegant design that will mix well with your existing flatware pieces. Suitable for home kitchen, restaurant use, ideal portable tableware for camping, picnics, lunch boxes. Easy to clean and reusable, great for hiking, mountain hiking, camping, lake fishing, construction site lunch or picnicking. 1.Keep in a dry place. 2.Do not put in microwave. 3.Do not expose to high heat levels avoid discoloration or deformation. 4.Do not leave for a long time immersed in hot water or other liquids. 5.It is normally that the surface of wooden product has rough feeling when you first clean, it will become more and more smooth with increasing using time. 6.As different computers display colors differently, the color of the actual item may vary slightly from the above images. 7.Please allow 1-3mm error due to manual measurement, please make sure you do not mind before you bid. 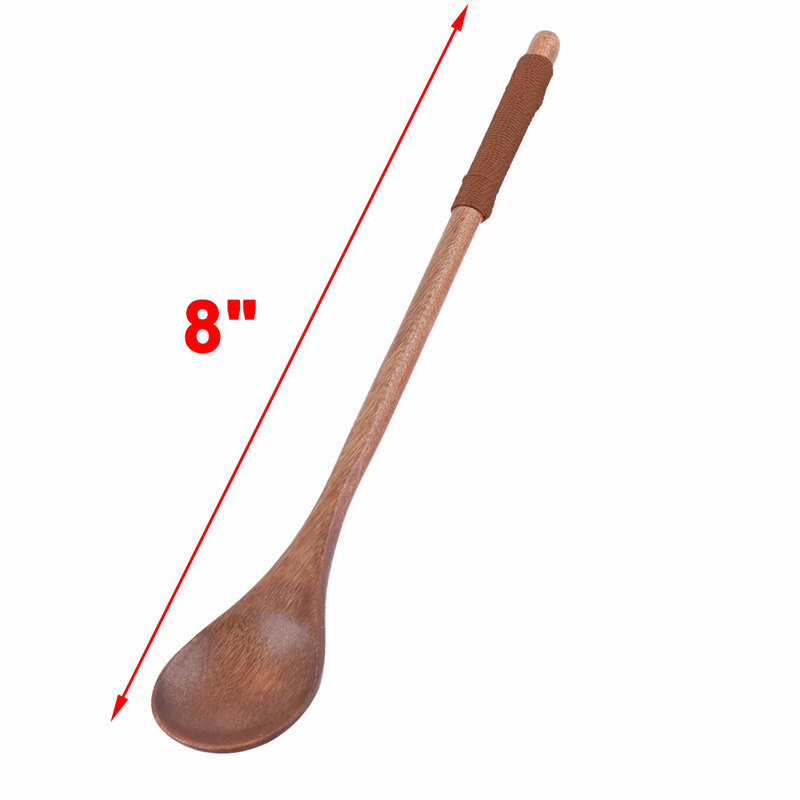 This spoon are made of wood, durable and sturdy body, the surface is smooth and clear. Lightweight, it is easy and convenient to carry. An ordinary meal may be a wonderful one when you using some pleasant kitchenware.